The Zoco electric bikes having a well-earned rest. They don't need one but we do. There was indeed a lake view, including large fishing boats (one in the process of being cut up into small pieces). 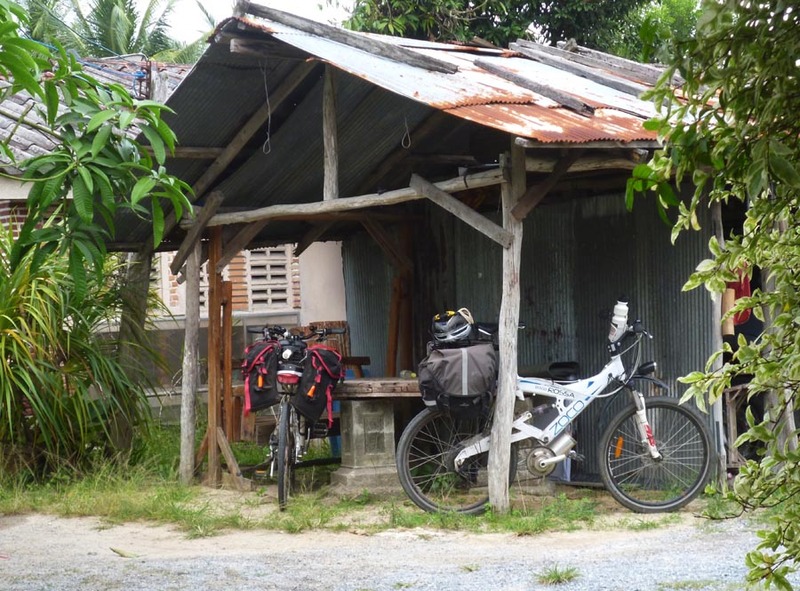 Hard pedalling today, but enjoyably so, as we go hell for leather to the Malaysian border and hope the Thais don't notice that we should have left by the 15th. After that we will be able to slow down a bit as, barring unexpected adventures, we will have plenty of time to ride through Malaysia and reach Singapore on schedule. Sleep tight, Al (and the rest of you)! Mr. popular. 23 Oct, 2012.